Halloween came out of nowhere this year for me. I have not had the time to do much of anything having just moved into a new house, so I took it upon myself to quickly whip up something to get into the Halloween mood. I was at a local store and saw these little foam skulls for $1.50 and grabbed a couple. 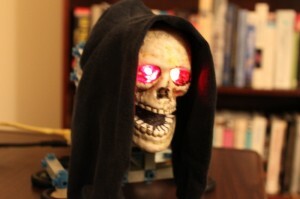 Its fun to see what can be made quickly, and now I have something to put outside when the trick-or-treaters arrive. 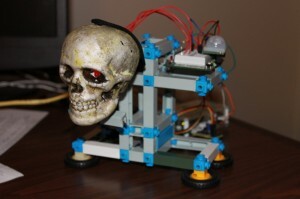 The object here was to simply make the skull do something when someone approached. I know this is FAR from original, but hey, I was pressed for time (and want to show that simple projects are really accessible to ANYONE) and didn’t want to do much planning. 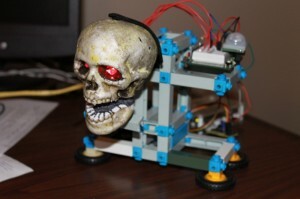 So, the project was born. I know I am not breaking any new ground here, but it didn’t detract from my bliss at annoying any co-worker who stepped in my office for the last 2 days. 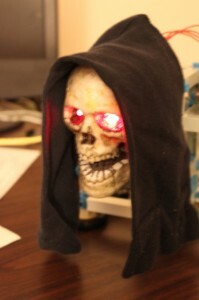 It did make the meetings more fun when the skull open his mouth to speak whenever a colleague would adjust their chair! Foam skull purchased for $1.50. 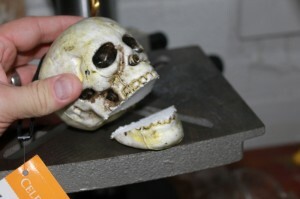 1- Took a saw to the lower jaw of the foam skull to detach it. Bored 2 eyes into sockets to run LEDs into. 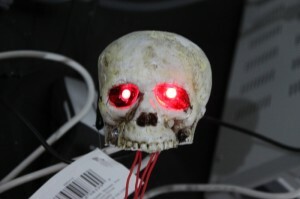 Testing that the LEDs are working and solder joints didn't break when inserting into skull. 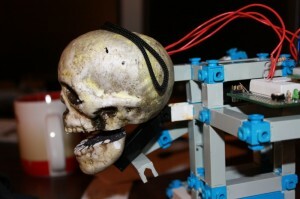 Used glue gun to affix lower jaw. 6- Used sharpie to color in jaw (previously white because of styrofoam) and teeth. 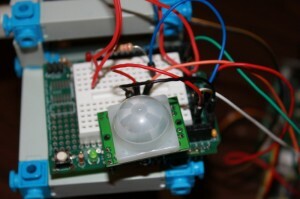 Parallax Infrared Motion Sensor #555-28027 on a protoshield from adafruit. Note: I was actually unaware that the messaging and triggers for ioBridge were there, and they are easy to use (basically following the mantra of the platform). 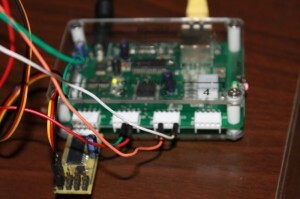 For an arduino, a simple read from the digitalIO and write to a PWM output using the servo library would do the trick, no problem! 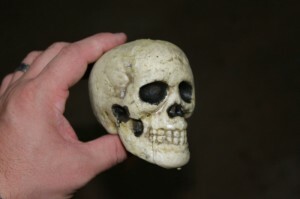 Skull with hood (not a gold-toe). 10- Annoy co-workers or greet tricker treaters. So you may rightly be asking yourself “What in this dude’s right mind does he want to have to do with weaving? Doesn’t he have anything better to do?”. A fair question. However, let me take a moment to defend myself. 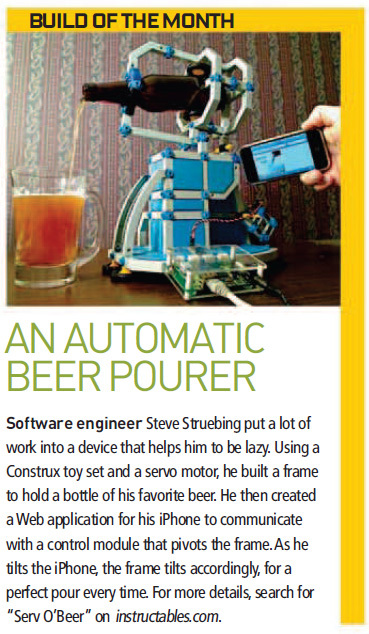 Really the catalyst of all this, and a lot of the technoPhobe content, stems from a random meeting at a bar. I had just finished the longbow project, and was in Wolfboro Tavern in New Hampshire enjoying some drinks with my stepfather. Somehow we got to talking to a guy next to us who was ravenously attacking a plate of wings like he had never eaten before. “Wifes a vegeterian. She’s out of town, so this is one of the few shots I get unless I am teaching class.” , he says. 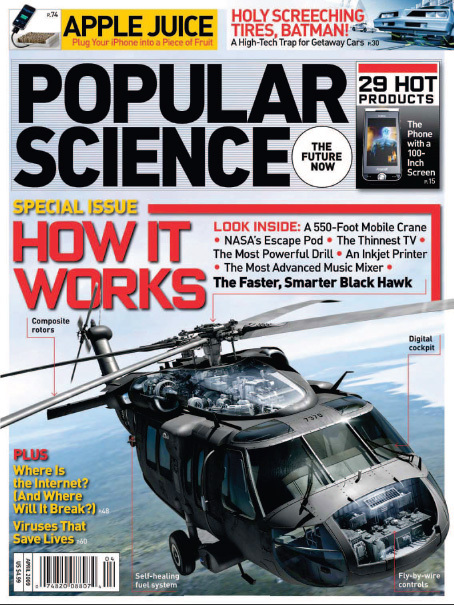 “Primitive survival skills.”, he adds as another defleshed wing bone hits the plate. Needless to say, I had many other questions for him. We talked about longbows, firebuilding, etc. Before he rolled out for the night, he turned me onto this book “Caveman Chemistry” (author Kevin M. Dunn. A great book I may add now from experience. I have bought 4 copies for friends). There is a chapter on spinning yarn, and hence my desire to be able to spin, and weave, something of purpose. Spinning I will cover later. 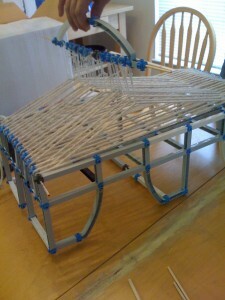 The first step is to buy (or build from Construx) a loom. 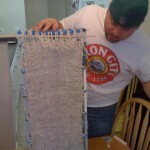 Next, you have to “warp the loom”. 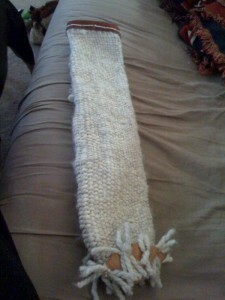 This is done by running yarn lengthwise on the loom. 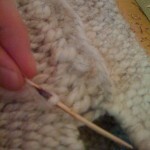 By alternating direction in a figure 8 type fashion, you can create what is called a “natural shed” against the loom. No need to bore you with details. As mentioned, warping yarns are the long yarns that run the length of the loom (in our case, this could change depending on the loom). The weft yarns to back and forth. There are all kinds of interesting patterns that you can make by changing the pattern of which warp yarns you go over and under. Alternating each (over, under, over, under) is called a “linen weave”. 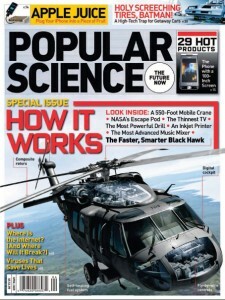 (Here in this illustration, + is over the warp, -is under. 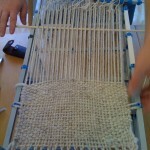 Another example is the twill weave (under, over, over, under, over, over). 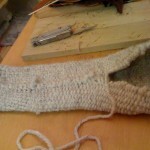 Note the diagonal bands taking shape in the twill. Here the shed stick is opening the "natural shed"
As a kid, you may have had a loom and used a needle or shuttle to go over and under the warp yarns. Well, obviously a better system existed. Using a device, you can mechanically raise the odd and even warp yarns, and just shoot the shuttle down the gap (known as the shed). 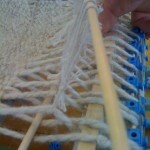 The one raising the “natural shed” (the yarns naturally raised by the loom) is called the “shed stick”. 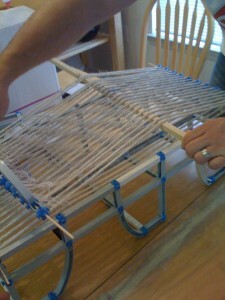 Here the "heddling stick" raises the alternate warp yarns opposite the natural shed. 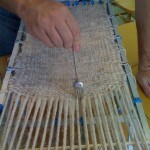 The implement that raises the alternative warp yarns is called the “heddling stick”. There are also looms (one of which I will no doubt build as I have acquired the wood for it) which achieve the heddling action as a function of the loom itself. 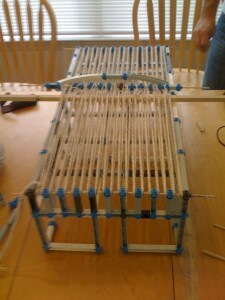 This is called a “rigid heddle loom”. So by simply alternating raising the natural shed, running the shuttle down, raising the heddling stick, bringing the shuttle back (rinse and repeat), you achieve this linen weave. Each couple of rows we would use a fork to tighten the weave. Here are some additional shots showing cleverness from my technoPhobe cohort in finishing the seam with a needle, working the leather base, and finishing the product. Finally done. This needs to be automated. Note the leather guard at the opening to prevent damage, and the leather base that my friend made very successfully. Now, all I need are some arrows, and I can live off the land. Provided the land has an XBox 360, and a power supply.